Miniaturism isn’t my professional work, although I regret that. I’m a wife, mother of two lovely girls, nurse at a hospital, miniaturist, and also a painter (oil on canvas). I also do cross-stich, crochet and fabric dolls. 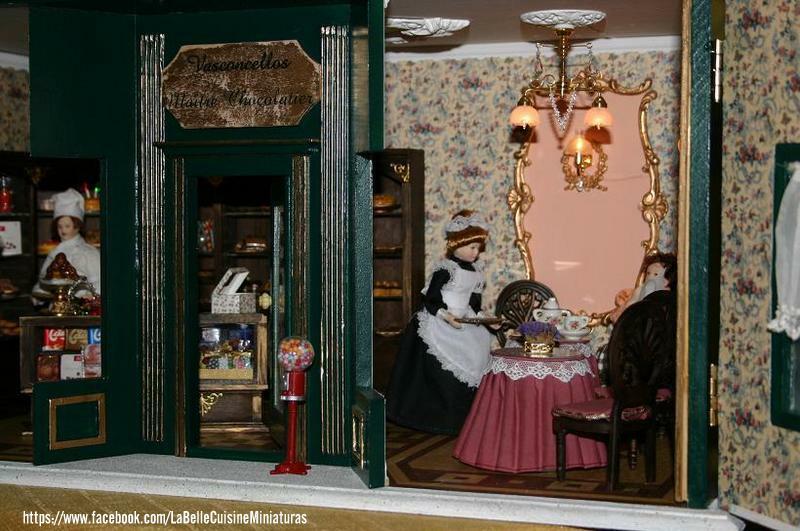 My interest for miniatures started in 1998 with the construction of a dollhouse (by kit). Since then, I have collected and changed other kit collections, and worked on a miniature kitchen and room boxes. 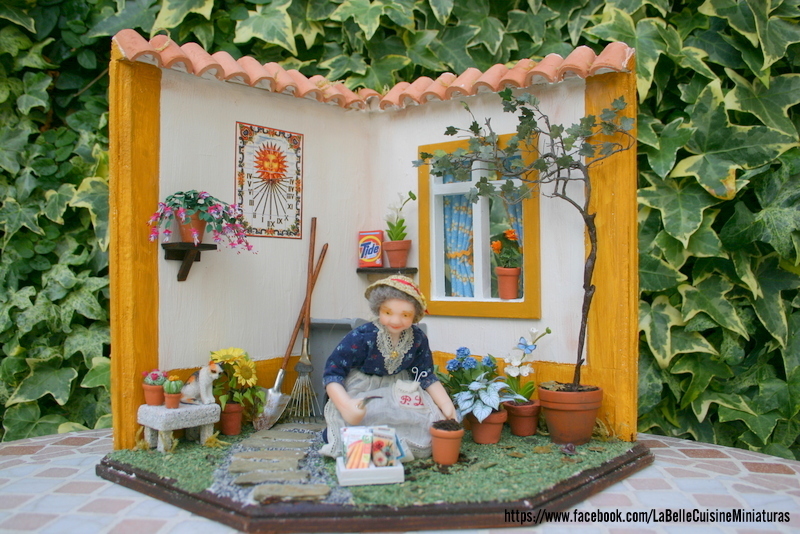 Soon I decided to stop collecting and to become a miniaturist, creating my own pieces. That’s when the passion really started.